LA JOLLA—The incidence of some neurological diseases—especially those related to aging, such as Alzheimer’s and Parkinson’s diseases—is increasing. To better understand these conditions and evaluate potential new treatments, researchers need accurate models that they can study in the lab. 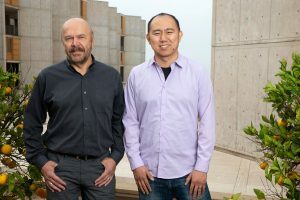 Researchers from the Salk Institute, along with collaborators at Stanford University and Baylor College of Medicine, have shown that cells from mice that have been induced to grow into nerve cells using a previously published method have molecular signatures matching neurons that developed naturally in the brain. The study, published in eLife on January 15, 2019, opens the door for better ways to model an individual patient’s disease. This technique would enable researchers to study how neurological conditions develop, as well as to test new therapies. The new technology also could help to advance research into gene therapies that are derived from a patient’s own cells. The cells used in the study, called fibroblasts, make up most of the connective tissue in animals and play an important role in wound healing. Researchers have been studying how to transform fibroblasts into neuron cells in laboratory dishes, but until now they didn’t know whether these newly created neurons accurately corresponded to neurons that had grown naturally in the brain. The technique for inducing the fibroblasts to grow into neurons with the matching epigenome was developed by Stanford’s Marius Wernig, the paper’s co-senior author. 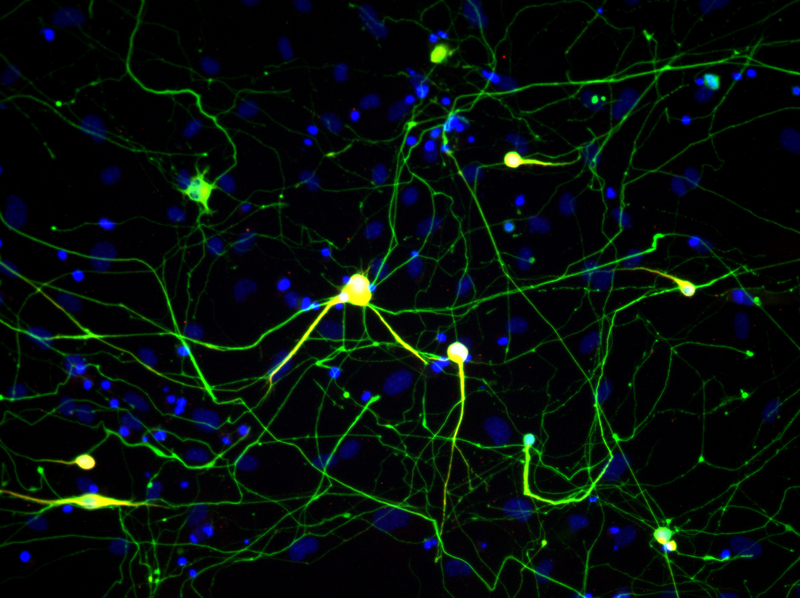 With this method, making induced neuronal cells does not involve pluripotent intermediates. 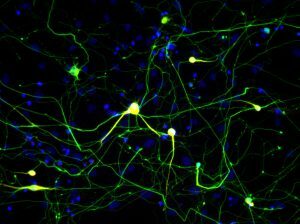 Instead, the cells are directly converted from fibroblasts to neurons. The epigenome is made up of chemicals that attach to DNA and regulate when genes get turned on and translated into proteins. Differences between the epigenomes of induced and naturally grown neurons could result in different features of induced neurons that might make them less accurate models of neuronal behavior. Using a technique developed in the Ecker lab called MethylC-seq, the researchers looked at every place in the genome where chemical groups called methyl groups are attached. They confirmed that these induced neurons have epigenomes that match neurons in the brain. 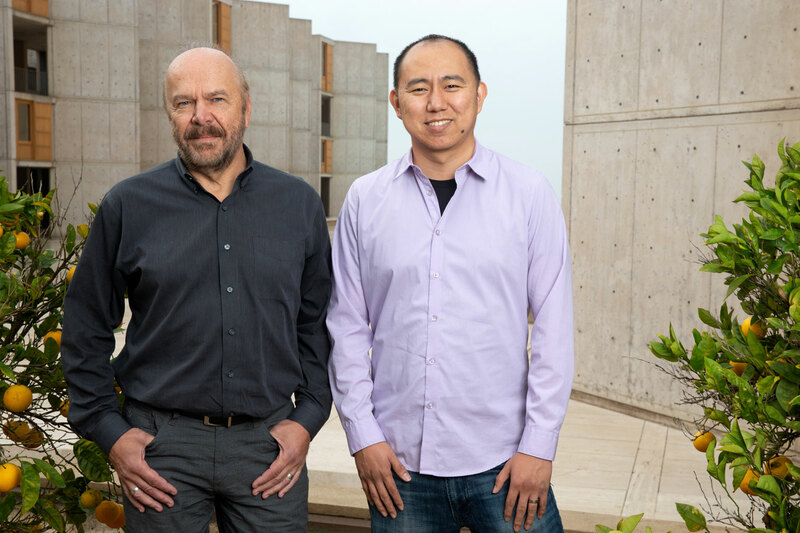 “This research was done in mouse cells, but we plan to use the same technology to study induced neurons made with human cells,” explains Ecker, who is director of Salk’s Genomic Analysis Laboratory and a Howard Hughes Medical Institute investigator. Ecker plans to also collaborate with colleagues to apply the technology to look at human cells to better understand age-related cognitive decline. Other researchers on the paper were Rosa Castanon and Joseph R. Nery of Salk; Sean M. Cullen and Margaret A. Goodell of Baylor College of Medicine; and Qian Yi Lee, Orly L. Wapinski, Moritz Mall, Michael S. Kareta and Howard Y. Chang of Stanford. The work was supported by the National Institutes of Health (grants P50-HG007735 and R01 DK092883), the California Institute for Regenerative Medicine (grant RB5-07466) and the Howard Hughes Medical Institute.